The ContiPremiumContact™ 2 has a totally new type of 3-D groove. Its innovative tread technology optimises braking performance on both wet and dry surfaces. Thanks to the new 3-D grooves, water is dispersed more efficiently - providing excellent protection against aquaplaning. 3-D grooves also give the whole tire superb stability. That's why the new ContiPremiumContact™2 is less prone to distortion, which vastly improves your car's manoeuvrability. The innovative 3-D-Groove: The distinctive feature of the new ContiPremiumContact™ 2 is its unique 3D tread grooves, which optimise braking performance on both wet and dry roads and achieve optimum protection against aquaplaning. Shallow side for better braking on dry roads, steep side for better braking on wet roads: The shallow side of the 3D groove gives greater tread block stability and improved road contact, which results in shorter braking distances on dry roads. Even when placed under great strain the tread blocks do not bend away and so the tire retains maximum contact with the road. This more even contact pressure ensures maximum transmission of power to the dry road. The steep side of the 3D groove makes the edge of the tread block extremely angular. This enables it to cut through the water on the road, much like a windscreen wiper. The direct contact between the tire and road means exceptionally short braking distances, even in the wet. Special shape of the 3D grooves for better resistance to aquaplaning: The special shape of the 3D grooves (shallow and steep sides) means that as the water flows through, a swirl effect is created. The water is thus dispersed more rapidly and the risk of aquaplaning reduced. The harmonious round shape of the ground contact patch also increases resistance to aquaplaning. Improved handling thanks to asymmetrical tread pattern: The compact outer shoulder and the reduced number of tread blocks ensure optimum road contact and excellent cornering stability. The double block structure of the inner ribs ensures high circumferential tread stiffness, which results in improved driving stability and braking performance. The open inner shoulder with its continuous lateral grooves and an increased number of tread blocks reduces rolling noise and disperses water efficiently, giving a comfortable ride and excellent protection against aquaplaning. For upmarket mid-sized and luxury vehicles. 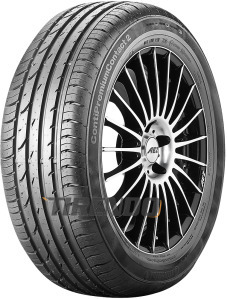 Engineered in Germany, Continental offers premium tyres with optimum braking performance and safety. Outstanding braking performance in both wet and dry conditions. Trusted by leading car manufacturers, including the models eg. Audi A1/A6, BMW Series 3/5, Nissan Qashqai and VW Passat. Outstanding braking performance in both wet and dry conditions. 3D grooves optimise braking performance in both wet and dry conditions. 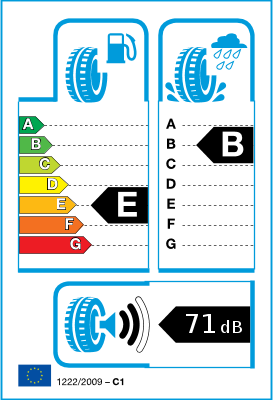 The even pressure distribution ensures very short braking distances. Excellent resistance to aquaplaning. Due to an increased number of tread blocks and an open inner shoulder, water is dispersed more efficiently. The harmonious round shape of the ground contact patch provides excellent protection against aquaplaning. Precise handling and unbeatable driving stability. The asymmetric tread pattern stiffens the tyre shoulder and provides optimum road contact. This is the only tyre in this profile/size 175/65 R15 that allows me to enjoy the mini’s true character (the go kart handling!). This tyre has reasonable/good roll resistance (!) and great grip and handling. Most tyres these days feel like it’s on jelly with the “low roll resistance” fashion. I’ve not seen better fuel economy with the others in any case. Obviously because they grip well they wear more quickly than say a Michelin energy but really this is the only premium tyre I’ve found that is like a sports tyre in characteristics for this profile and 15inch...which works well on the mini. It doesn’t need big rims and low profile tyres with these continentals.